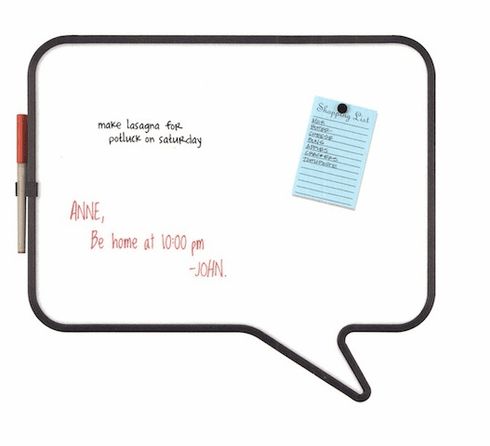 Magentic whiteboard with pen holder. White / Black. 17 x 14.75 x 1". Design by Carolina Kim.